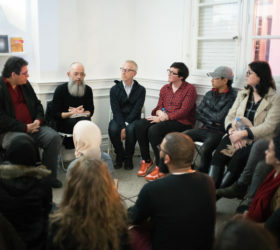 For Julie Crenn and Pascal Lièvre, this time of residency at Le Cube – independent art room is meant to be a period of research and meetings. During their stay in Morocco, they produce new filmed portraits with artists in situ, and for the first time, with Moroccan activists. 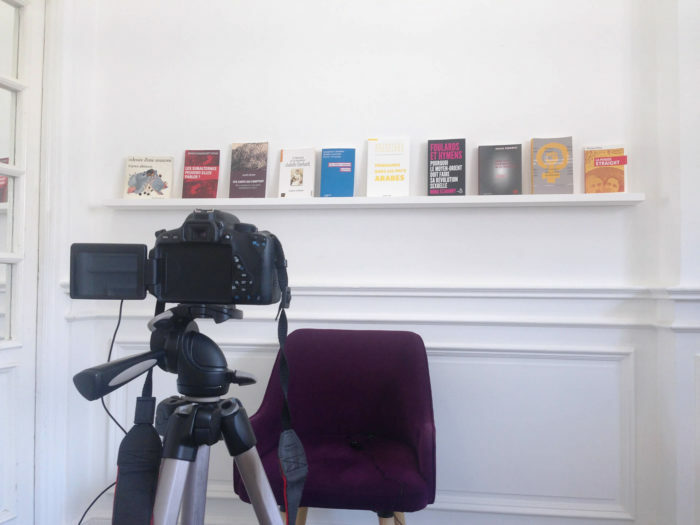 These videos are presented for a first time during the exhibition HERstory at Le Cube. Defined as an exhibition of archives, HERstory promotes feminists’ voices of both men and women, from all parts of the world. This project is an invitation to watch, hear, read, inform, discover, exchange, meet, propose, debate, interrogate, and open up to postfeminist thoughts. As days go by, these extremely prolific thoughts enlarge and oppose each other, get more precise and refined. They are thoughts that need to circulate in order to generate a pluralistic vision of our society. 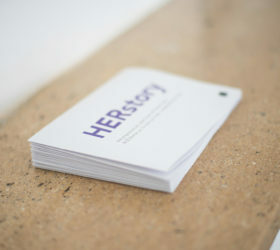 HERstory is conceived in collaboration with the Fondation Heinrich Böll Stiftung Afrique du Nord Maroc, l’Institut Français de Rabat, la Maison des Arts de Malakoff and les maisons d’édition tahin party, Nouvelles Questions Féministes, Mamelis, Amsterdam, La découverte, En Toutes Lettres, Tarik and Le Fennec.